Listen: Asher Roth & Nottz - "Gotta Get Up" ft. D.A. 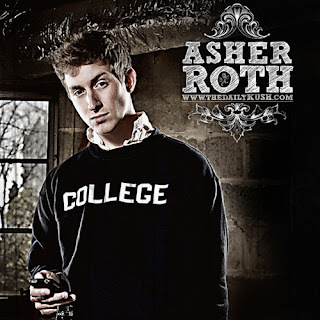 Here is another track from rapper Asher Roth and producer/rapper Nottz. This song has a simple beat, but is quite catchy. The chorus will also be stuck in your head, whether you want it to be or not. Lately, I find Asher Roth's stuff to be more lyrical than his previous efforts. "Gotta Get Up" has a laid back feel, as only Asher is the only one rapping. Listen Below.